Marc Okrand devised the dialogue and coached the actors speaking the Klingon language heard in Star Trek III: The Search For Spock, Star Trek V: The Final Frontier, Star Trek VI: The Undiscovered Country, and Star Trek Into Darkness. He also created the Atlantean language heard in the animated feature Atlantis: The Lost Empire. The Klingon language he developed has continued to be used in the later Star Trek TV series. In addition, he created the Vulcan dialogue for Star Trek II: The Wrath of Khan and Star Trek III, both Vulcan and Romulan dialogue for 2009’s Star Trek, and dialogue in several new languages for Star Trek Beyond. He is the author of The Klingon Dictionary, The Klingon Way: A Warrior’s Guide, and Klingon For the Galactic Traveler. He has degrees in linguistics from the Santa Cruz and Berkeley campuses of the University of California and has conducted linguistic research as a postdoctoral fellow at the Smithsonian Institution in Washington, D.C. For 34 years, up until his retirement, he helped manage the closed captioning of various network and syndicated television programs. 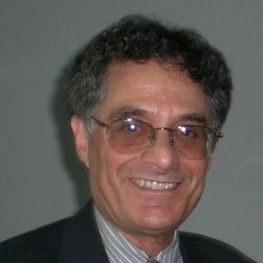 In addition to his published work on Klingon, he has written articles on both linguistics and closed captioning for several journals and anthologies. He is an associate producer of the documentary Conlanging: The Art of Crafting Tongues (2017).